Round Table Discussion: DEFSEC Atlantic 2017 | Nova Scotia Business Inc.
DEFSEC, the Canadian Defence Security and Aerospace Exhibition Atlantic, is an international networking event for the aerospace, defence and security industries, showcasing Atlantic Canadian opportunities with global reach. Now in its 12th year, DEFSEC has become the second-largest event of its kind in Canada, with an average of 1200 delegates from 12 countries representing 399 organizations and companies. Colin Stephenson, Executive Director of DEFSEC, Rich Billard, CEO of Atlantic Canada Aerospace and Defence Association (ACADA), and Harvey Doane, Investment Attraction, Defence, Security & Aerospace, NSBI, discuss DEFSEC, the growth of the A&D sector in Nova Scotia, and what the future holds. Impact of the National Shipbuilding Strategy on the A&D landscape in Nova Scotia. Rich: It has really raised expectations that there will be a significant long-term opportunity for steady work in the region. The Arctic Offshore Patrol Ships (AOPS) project is in the building stage, but the Canadian Surface Combatant (CSC) project will really start to bear fruit over the next five years as it ramps up. There are significant opportunities in project management and systems, and new businesses are going to be setting up. Colin: Employment stability is going to be tremendous. This is a long-term commitment where money has been set aside. It’s going to create careers – not just jobs. Rich: And not just in defence. There’ll be spinoffs from businesses setting up here. They’re going to want to do other things than work on the project. And then there are the support businesses such as housing, construction, and general services. Harvey: When you look at it from a global perspective, the project has put Nova Scotia on the map for companies vying for contracts. Given the Canadian defence procurement policies, these companies are looking at value proposition inclusion and ITB investments within Canada. This gives us as a province a chance to put investment opportunities in front of these companies to address their requirements. It’s a great way to introduce them to the benefits of investing in Nova Scotia. 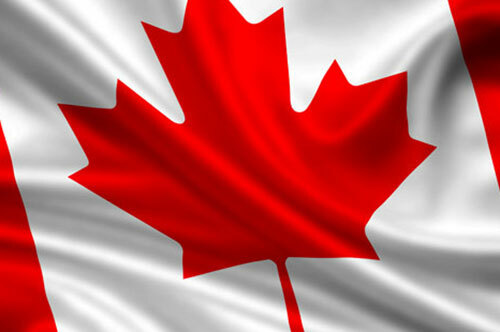 Colin: If you want to have an office in Canada, set it up in Halifax. It’s where the action is. The work is happening here. Harvey: The other thing we’re seeing, and this is valuable, is more SMEs are engaging in the sector. The project is a catalyst. This momentum will carry on past the project for the next 25, 30-plus years. Biggest “learning moments” in the sector. When I joined the industry side I realized the sheer amount of time it took for Widget A to go from concept to actually be in the hands of the men and women who were going to use it. It can take ten years for an idea to go through development, procurement, acquisition, and installation. It’s such a long game. You have to be patient because it takes so long for major procurements to follow through. For an SME, the challenge is you have to put food on the table. You can’t wait for that contract that’s going to come nine years from now. You have to diversify. Colin: You have to work hard and be flexible. DEFSEC is always reinventing itself to stay relevant, to prove we have an event that’s worth coming to. The lesson is never look at what you’ve got. Look at what you need next because when one thing comes to an end, you better be ready to pick up another. I think that’s the strength and diversity that’s represented in our region. Harvey: In this industry, unlike most industries, you get companies that are competitors one day, and working on a joint venture the next. You need to build networks, get people to know who you are and what you can do, and align yourself with many different people. You have no idea who is going to be partnered with who. 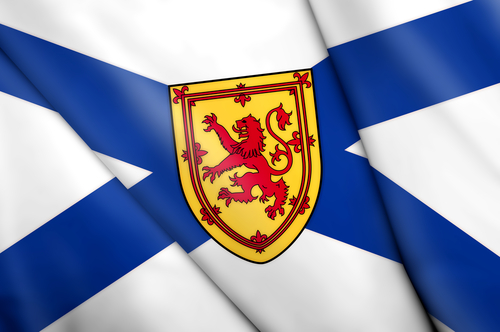 Thoughts on upcoming opportunities in Nova Scotia. Rich: The primary opportunities revolve around the defence market, especially with the CSC project, where $60 billion will flow through the region. There’s opportunity for foreign investment as companies move to the region to set up shop. But like anything else, as soon as you get a critical mass of companies around the project, there is more work that’s not even related to the CSC. There is spinoff work because we have a lot of companies who are global leaders. They may not be benefiting directly from the project, but as the industry grows, which it will over the next 5 to 10 years, you’ll see a big uptick in spinoffs. Colin: There’s a lot of talent here and an opportunity for the province and the federal government to expand our infrastructure and capacity. That’s why projects like COVE and the Shearwater expansion are so important. They provide infrastructure and development platforms where things can be built and tested. Harvey: At NSBI we see these projects and infrastructure helping to connect SMEs to global value-chains. Once they’re fixed into the supply chains they can export goods and services around the world. Rich: Getting SMEs engaged in the global supply chain is key. That’s how we increase the sector’s exports from the region. 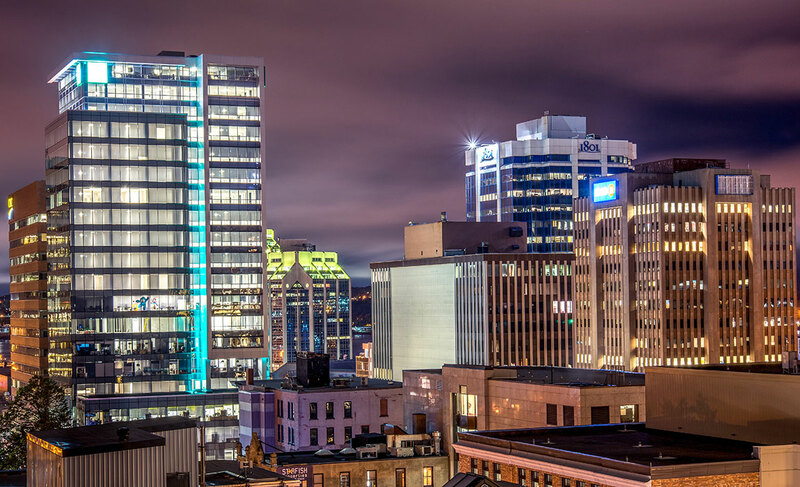 Nova Scotia’s advantages in the sector. Rich: We have the elements for success. There’s a lot of innovation coming out of aerospace and defence, and some of it is a direct result of relationships developed with our universities. This has been very promising and I hope it will continue. We also have the geographical advantage, being surrounded by the ocean, and we have a strong defence infrastructure. Harvey: The Navy is here and businesses want to be close to the Navy. We have competitive operating costs. Rich talked about the universities: there’s a huge focus now on development. The universities understand the importance of commercialization in actually getting to that stage and making money. We’re seeing more support for start-up companies and new technologies than we've ever seen; both from a funding point of view, but also mentoring support for them to get off the ground. Whether it's through Innovacorp, Atlantic Canada Opportunities Agency (ACOA), or Springboard, we're seeing support for these companies. That new technology is driving the sector and helping to attract new industry. When you look at the industrial base here, it's strong, diversified, and well-versed in dealing in A&D opportunities and procurements. You've got an environment that's conducive for people to come and operate. And we've got a great talent pool. The Armed Forces personnel are fueling a lot of the opportunities. People getting out of the Armed Forces have the hands-on experience, understand the processes, understand how procurement works, and are interested in living here. Colin: The sophistication of the Atlantic Canadian companies that participate in DEFSEC is exploding. They know how to integrate into the aerospace world. 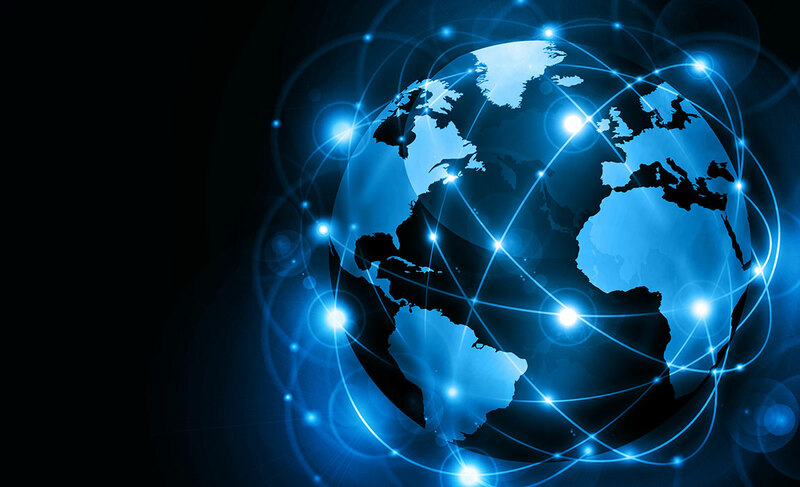 We help them connect to larger companies and then they’re off doing their thing on the global stage. It’s a really neat thing to watch. Harvey: People understand how strong we are in ocean technology and naval defence. We’re a centre of competency. And we’re seeing spinoff opportunities, especially on the commercial side. Colin: There's also a quality-of-life dividend here. Don't be in the big city. Be on the East Coast, where life is a half a pace slower and much more enjoyable and you don't have a 90-minute commute to work. Advice for new companies getting into A&D. Rich: First: be patient. The A&D sector isn’t hard to get into, but it can be hard to succeed. The average procurement takes eight to 12 years to be awarded. Get a foothold and understand the sector before you start. The second piece of advice is work on relationships. You need to be a presence. DEFSEC is a great place to meet the people involved. It’s more effective face-to-face. I encourage all SME’s to at least go to DEFSEC so they can see who’s who. Colin: As you go to more and more events, people start to recognize you. You’re one of them. People need to know you’re serious, that you’re in the game. You have to go to places and invest the time and effort into being visible. Harvey: When I talk to companies they’ll often say they know the industry. I always reply, “Well, that’s great, but does the industry know you?” Because until people know you, you won’t get anywhere. Put in the time to prove yourself as someone who can be trusted and people will see you as a potential partner. Colin: The big companies are looking to fulfill their supply chain. They’re sending ITB professionals because they’re looking for SMEs to partner with. These companies come prepared for the conversation, with the right people to listen. They’re there to talk to you about your product or service. That’s important for an SME to know. Colin: Staying topical is a big challenge. Our steering group tries to see where things are going, what the trends are, and how we should tailor the show. We always try to anticipate and respond to our clients’ needs. One of our strengths is we’re impartial. We make space for everyone, and you don’t need to be a member or hold a certificate to attend. Harvey: In the nine years I’ve been involved with DEFSEC I’ve noticed it has matured. There’s a certain amount of sophistication now. People take the show seriously. There’s also been an increase in foreign exhibitors, which is promising. Rich: The CARIC connector is a good opportunity for networking, especially between industry and academia. Events like DEFSEC allow the intersection of those two worlds. That may be one of the reasons we’re seeing so much collaboration and commercialization with the universities. How to make the most of DEFSEC. Rich: Know why you’re going. It’s two days of opportunity. You need to prepare: plan your days out, get all the contacts you need, and make sure to follow-up after meetings. Colin: Spend time researching the exhibitors, and then go through the B2B/B2G program and request meetings. Having your meetings set up in advance gives you more confidence and keeps you from getting overwhelmed. A lot of the folks making things happen are the government facilitators such as NSBI. They make the introductions, help you prepare, and make sure the right doors get knocked on. Colin: DEFSEC is always changing to respond to the industry’s needs. We evolve together. This year is a record crowd, and we’re bulging at the seams with a full speaking program and our B2B program. Now that the four provinces are working together under ACADA, we’ve set aside time and space to be a platform for collaboration. NSBI is going out to its client base and promoting opportunities in the defence sector, inviting businesses to participate. We have an introductory program for people to see if there’s interest in their products or new opportunities. Creating opportunities is key. We’re not running out of talent or opportunity, but we need to be prepared. We need to have the industry understand the roles everyone plays. We all have a role to play and we all need to work collaboratively. Nova Scotia attracts globally recognized companies working in naval defence, shipbuilding, sonar and sensing, in-service support, cyber security and training and simulation. Learn more about Nova Scotia's Aerospace and Defence sector.